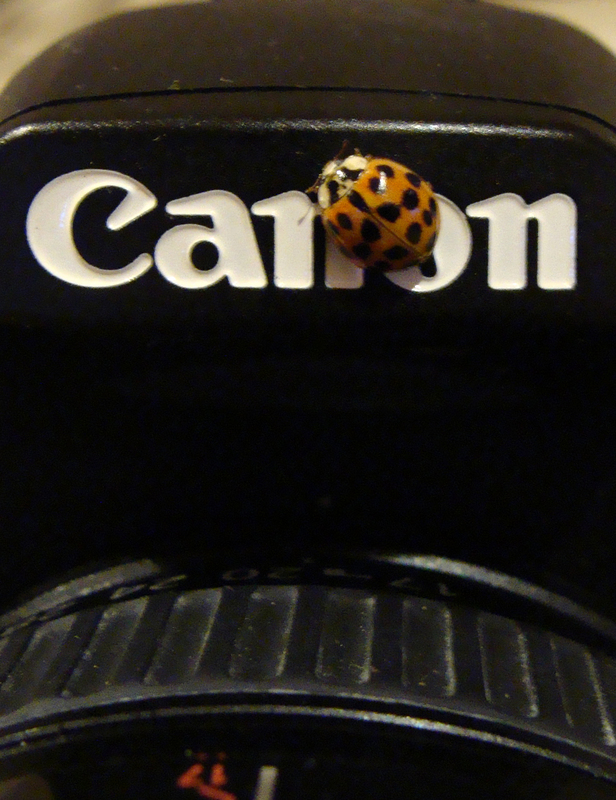 SELF-EXPLANATORY — In-house ladybug makes a pun. 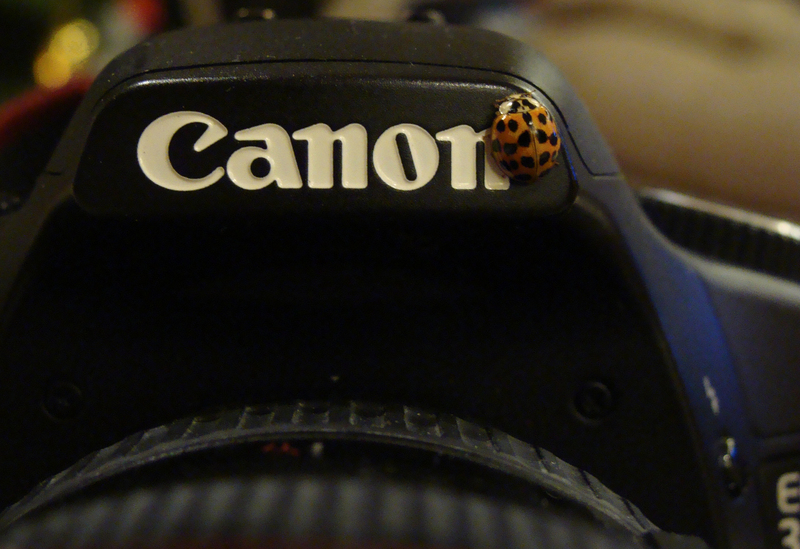 SPOTTING HIS SHOT — Ladybug works his way around to a Canon endorsement. 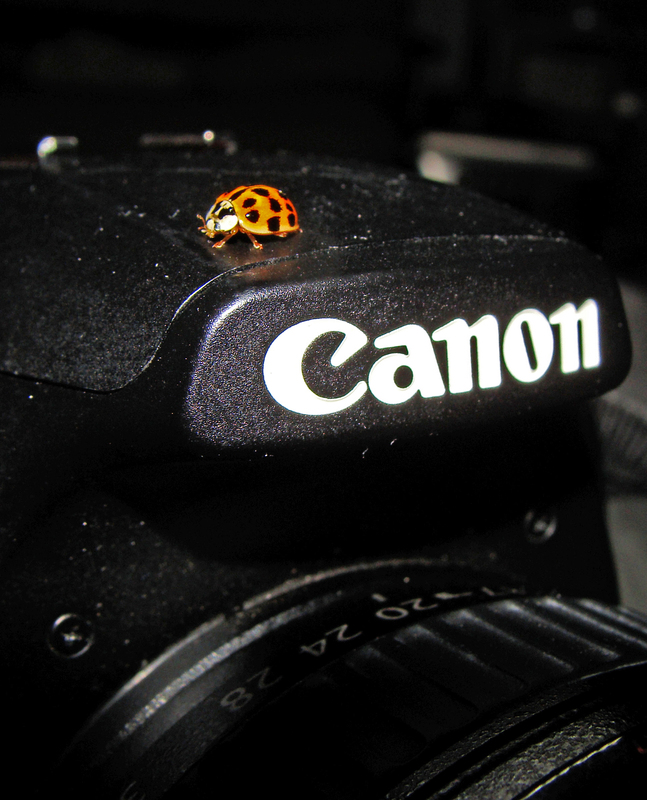 A LITTLE TO THE RIGHT PLEASE — Lady bug continues its exploration of the Canon. The Big Buck Classic in Little Rock draws scores of thousands of people during its three-day run. This year’s event at the State Fairgrounds rambled through three or four buildings, including filling the floor at Barton Coliseum. Arkansas 4-H and Raptor Rehab of Central Arkansas brought some reptilian and avian stars that kept small tight clumps of people forming around their handlers. 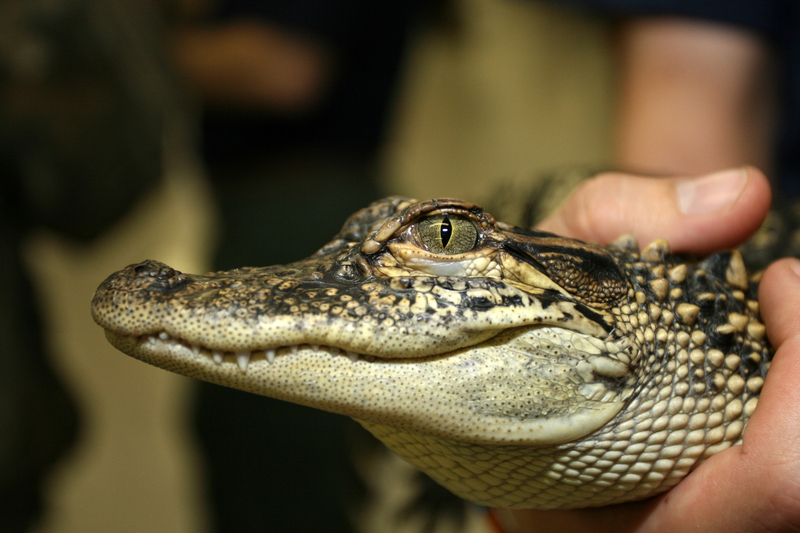 SMILE -- This young alligator fascinated young and old at the Farm and Ranch building at the Arkansas State Fairgrounds. 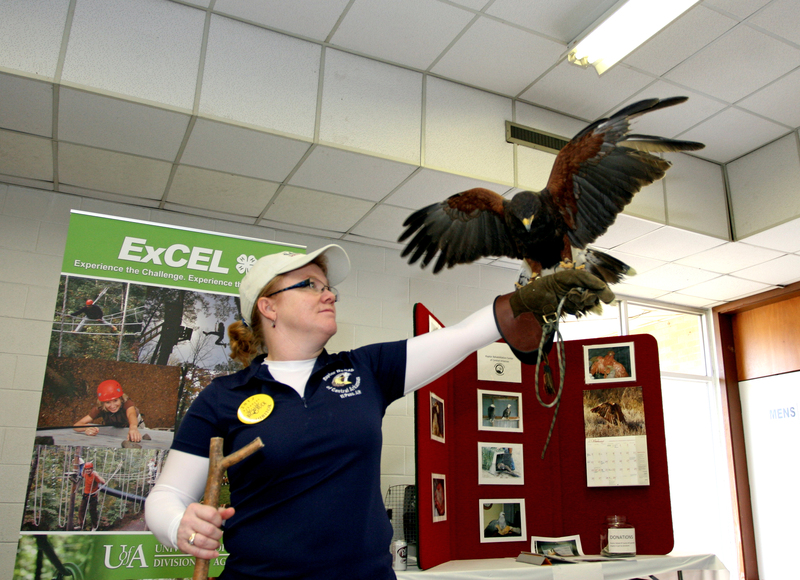 WINGSPAN -- Hawk spreads its wings for its handler during a presentation at the Big Buck Classic in Little Rock. QUIET MOMENT -- Phoebe rests for a minute. 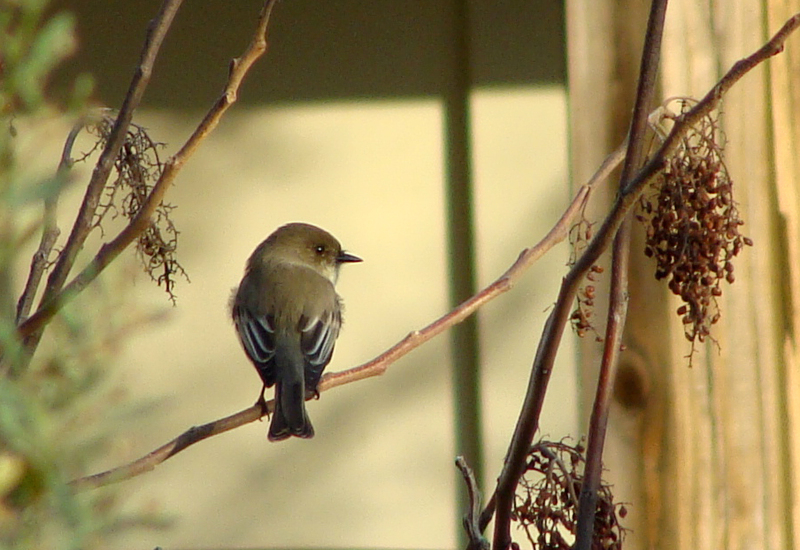 Seen yesterday or today, but not captured in pixels: Eastern bluebird, tufted titmouse, Carolina wren, Eastern towhee, a Carolina or black-capped chickadee, dark-eyed junco and a big red-tailed hawk. What was captured was a cardinal, and we think, a western wood peewee, downy woodpecker, an eastern phoebe, a hermit thrush and a lone female bufflehead. 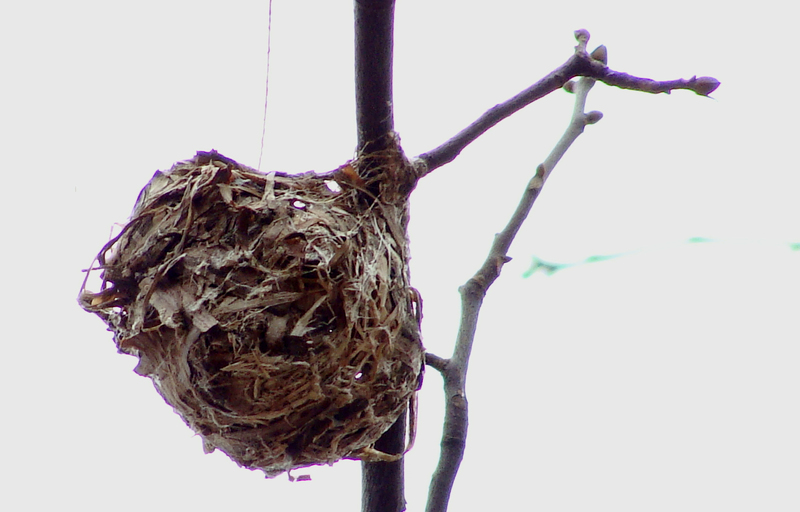 MYSTERY NEST -- About 30 feet up in a deciduous tree. We're not sure what this is. 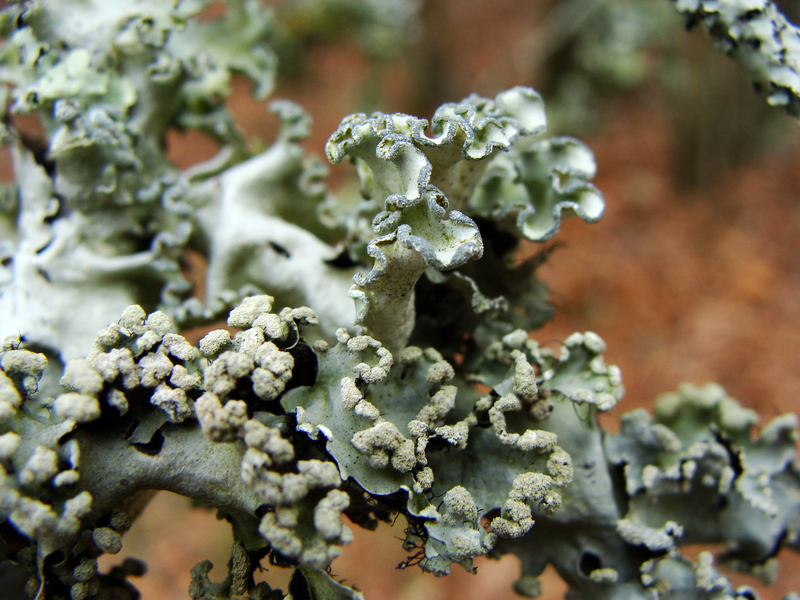 During spring’s botanical outbursts, summer’s riot of plant and animal life and fall’s loud last hurrah, lichens go unnoticed on branches and rocks. Then winter comes. Nature provided a warm January day, perfect for a stroll with camera in hand. GOT IT COVERED -- Lichen encrusts nearly all the branches of a very small tree. 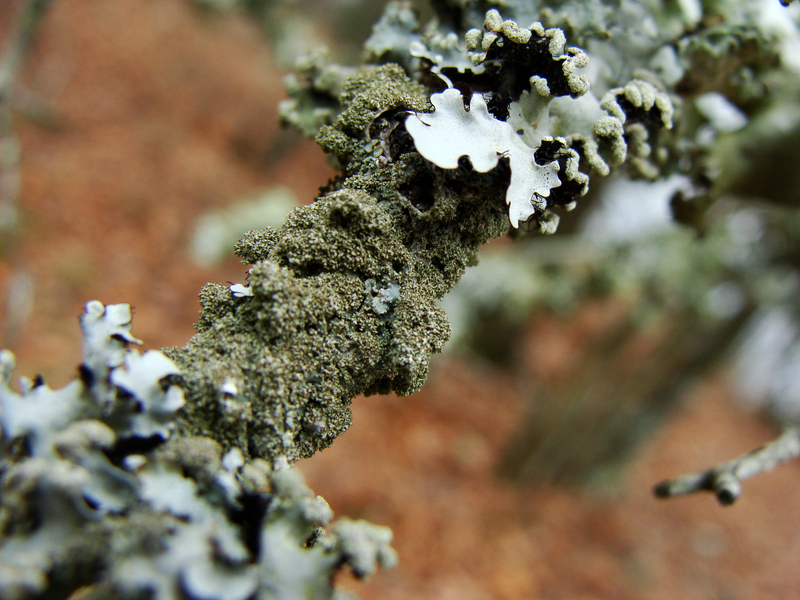 EXTRA TEXTURE -- Variation in lichen texture along one branch. Back on Dec. 16, photos and stories about some unusual clouds in Alabama made headlines and most-viewed lists. They were dubbed tsunami clouds, probably for their resemblance to the famous “Great Wave off Kanagawa,” a 19th century work by Japanese artist Hokusai. 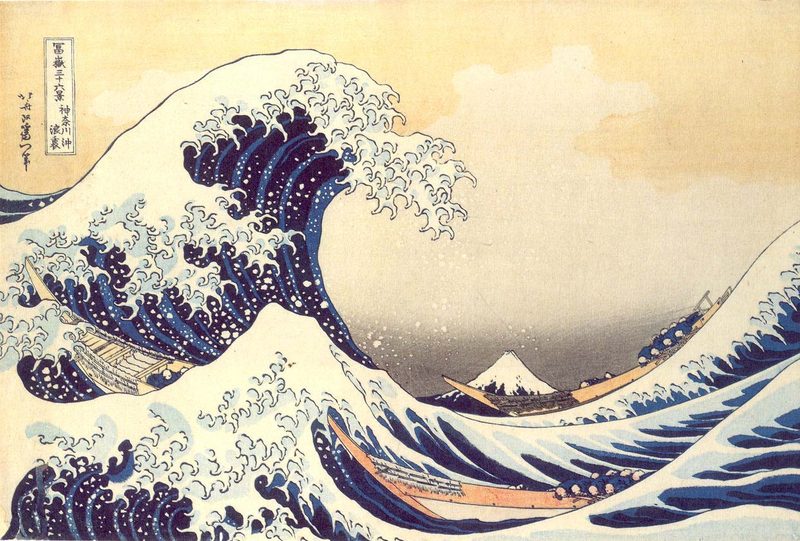 MOUNTAIN OF WATER -- Probably the world's most famous tsunami image. The photos also brought into play discussions of fluid dynamics. In this case, something called the Kelvin-Helmholtz Instability. Danish geology/ etymology/ oceanography/ (fill-in-your-favorite-ology here) blogger Ole Nielsen explains it so well. 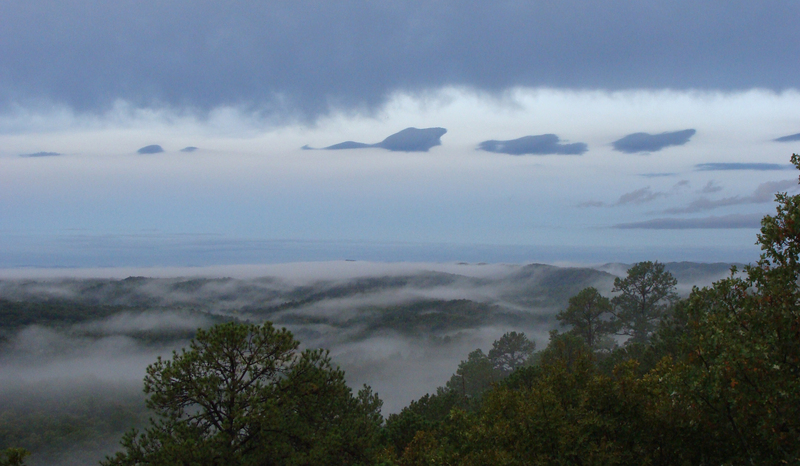 Here on the mountain, we had some unusual clouds the morning of Sept. 19, 2011. Nothing as spectacular as the tide that rolled over Birmingham, but nonetheless striking. Unfortunately, being a work day, we could not spend a great amount of time watching how they evolved — whether they crested and broke or were simply being worn down into warped lenticular shapes. 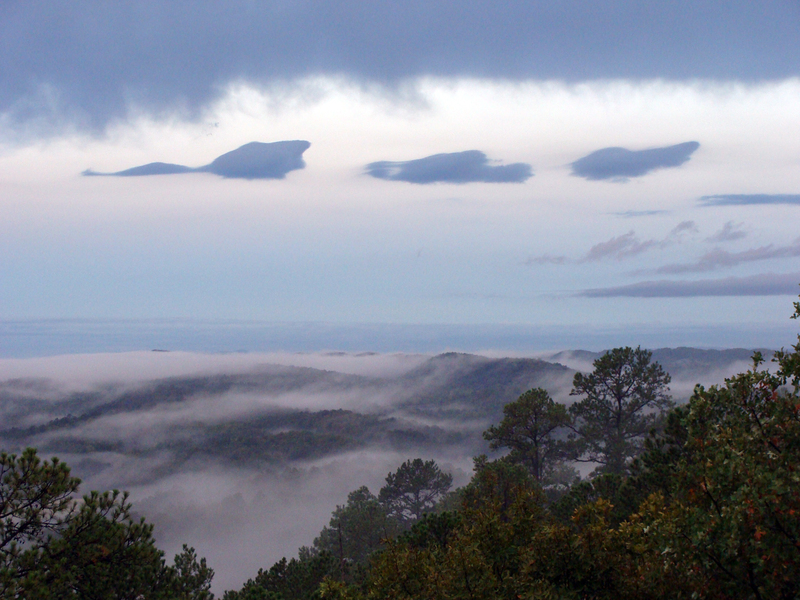 SEPTEMBER MORNING -- Unusual clouds form a dashed line one September morning over the Ouachitas. LATE SUMMER CLOUDS -- A tighter shot of the unusual dashed line of clouds. Having grown up in the urban north, Osage oranges were not part of the landscape. Here in the South, where they are native to Arkansas and Texas, they provide something completely different from the usual oaks and pines I saw growing up. The tree itself has a shape that, when devoid of leaves, would not be out of place a gothic horror movie. More fascinating are the brain-textured, softball-sized fruits in their wonderfully garish and decidedly un-wintry chartreuse. This tree stood tall between two parking lots on the University of Arkansas-Little Rock campus. Osage oranges go by many names, including bois d’arc and horse apple. I’ve also heard them called “fungoes.” Etymological guesses anyone? The osage orange is the subject of a nice piece by retired extension horticulturist Gerald Klingaman, who is now director of operations at the Botanical Garden of the Ozarks. 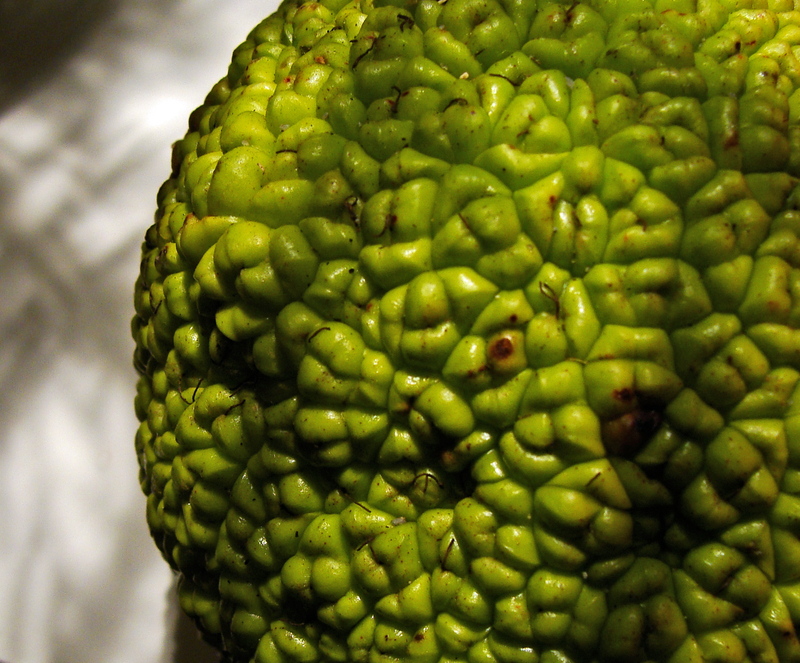 BIG AND GREEN -- An "osage orange" fruit up close. 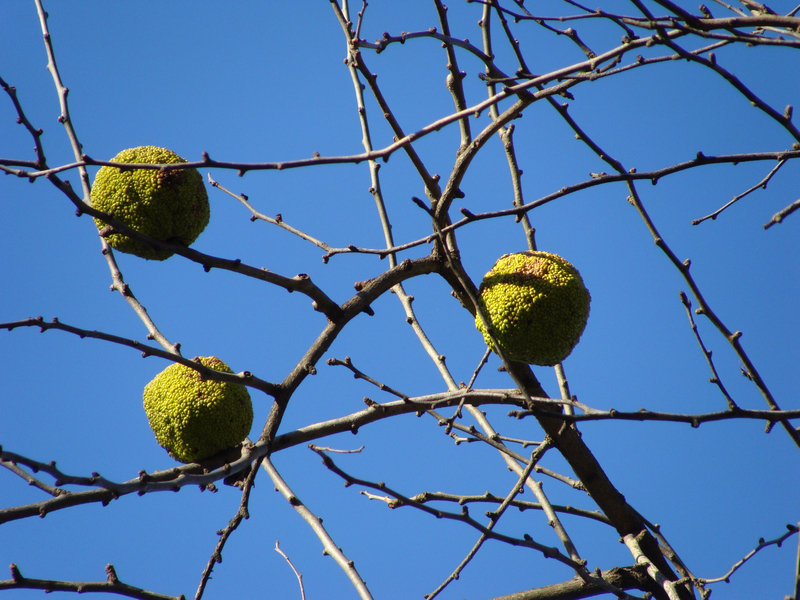 AIR BALLS -- Three of the osage orange's fruit are still aloft on a bright, clear January day. The farmland of the Arkansas Delta is wonderful place for migratory birds to stop. The harvested rice fields hold grain that escaped the combine and many farmers let the fields flood with winter rain to attract ducks and geese. 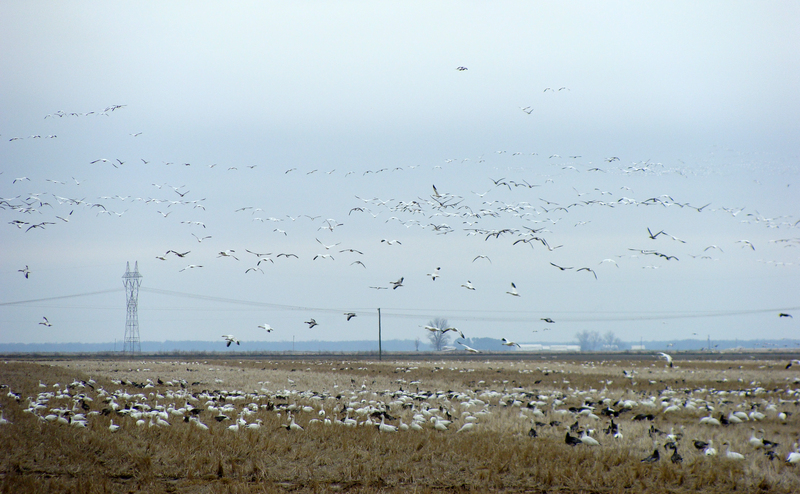 SEA OF GEESE -- Snow geese take over a field in Prairie Co., between Carlisle and Hazen. Thousands of birds filled the winter-dormant farmland at the southern end of their commute down the Mississippi Flyway. Many more fields like this one flanked U.S. 70. What’s left of the summer’s sumac berries provided a quick snack for juncos, chickadees and thrushes. 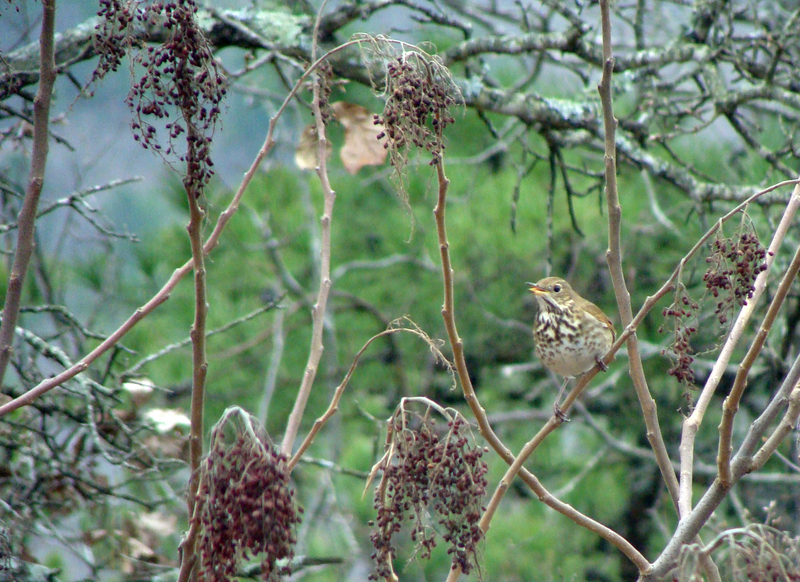 One thrush (I think it’s a thrush — Peterson’s and What Bird certainly helped narrow the options) paused for a song. SONG FOR A WINTER'S DAY -- A thrush, perhaps a hermit or Swainson's thrush, breaks out in song. 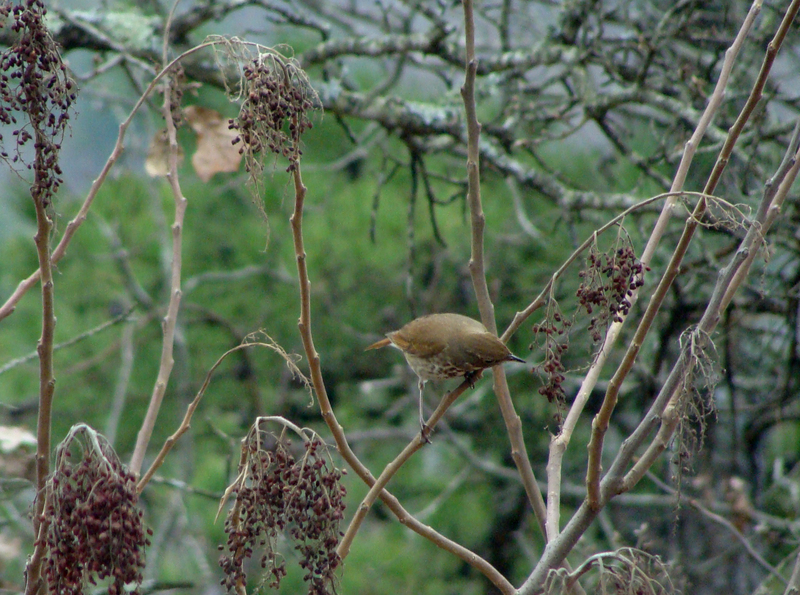 amid the drooping sumac heads. 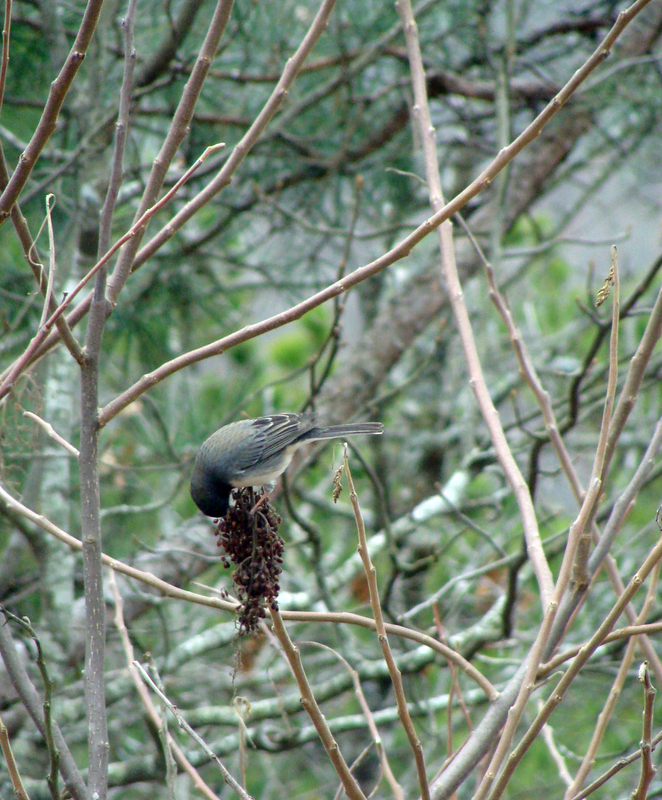 FAST FOOD -- Junco pauses for a quick meal. AFTERNOON SNACK -- Thrush grabs some grub.